Bravida has been assigned by Region Nordjylland to perform installations within HVAC when Aalborg in Denmark gets a new university hospital. The project has an order value of approximately SEK 140 million. The work on the new university hospital started already in 2013 and the groundwork started in 2015. The hospital will be 170,000 square meters and will accommodate beds for 581 patients. The project has now reached a new phase that covers buildings of approximately 100,000 square meters. Bravida will perform installations within HVAC in the new phase. – We have won a big and very exciting assignment at New Aalborg University Hospital. I’m looking forward to getting started with the project. Bravida has extensive experience from hospital projects in Denmark and the rest of the Nordic’s. 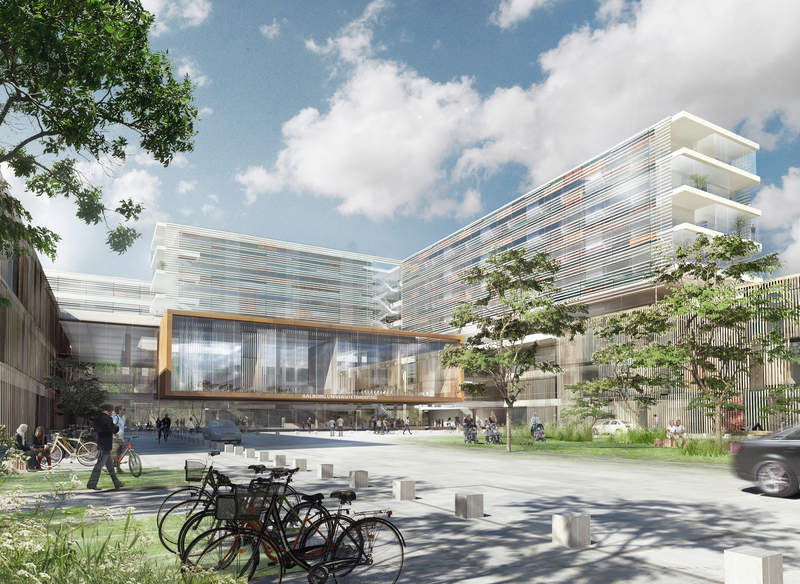 We have executed large installation assignments at the New university hospital in Aarhus and in Gødstrup. This means that we are well equipped for this mission, says Klaus Villefrance, Regional Manager Bravida Region North, Denmark. Bravida’s work begins in April 2018 and is expected to be completed by summer 2020. About 30 Bravida employees will work in the project. Morten Kjellev, Head of Communications, Bravida Denmark.